This round fiberglass picnic table features a 48" round top with a 1 5/8" O.D. legs, either powder coated black or hot dipped galvanized. The top and seats are coated with ultragel with 20 mils thickness for durability and smooth finish. Fiberglass picnic tables provide a smooth writing surface that is perfect for schools. 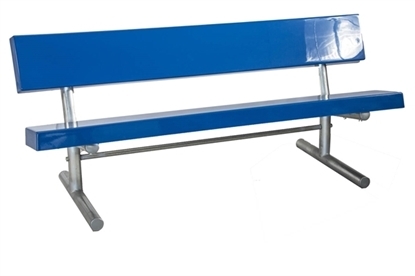 Commercial fiberglass picnic tables are made to be used in parks, schools, restaurants, and many other outdoor venues for years with little maintenance.